Russian paratroops will jump from an altitude of 2,000-7,000 feet during Exercise Friendship Guardians 2016 slated for mid-October in Egypt. Russian paratroops will jump from an altitude of 2,000-7,000 feet during Exercise Friendship Guardians 2016 slated for mid-October in Egypt, according to the Russian Defense Ministry’s press office. 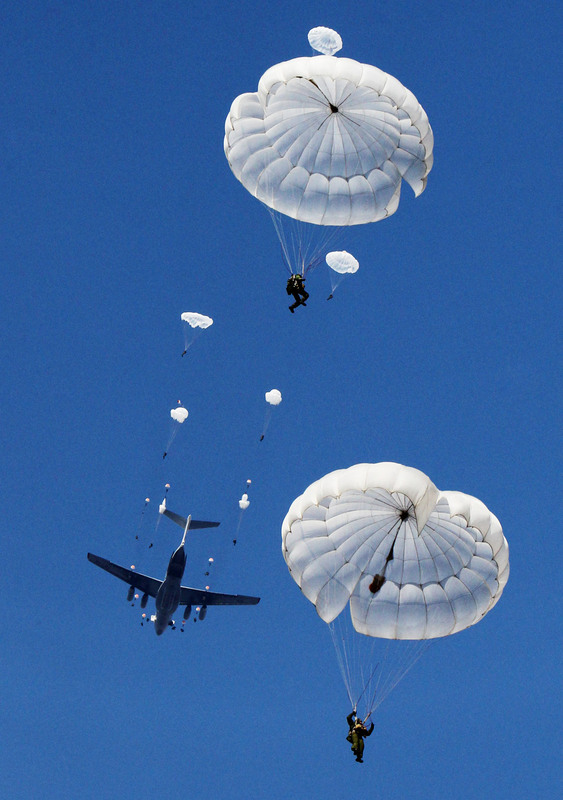 "The Russian Airborne Force elements gearing up for the first counterterrorist exercise, designated as Friendship Guardians 2016 and planned to be conducted in the Arab Republic of Egypt, shall perform parachute drops from the altitude ranging from 2,000 feet to 7,000 feet," the Defense Ministry’s press report said. Why is Russia holding a joint military exercise with Egypt? During the jumps, the Russian and Egyptian aircraft will synchronize their formation so that the two countries’ paratroopers are in the air at the same time. "Airlifters of the two countries will assume a single formation for the airdrop of personnel and materiel for the first time ever," the Russian military stressed in its news release. The formation will comprise aircraft of different types, which have different speed and aerodynamic characteristics and which will drop paratroops and their vehicles at different speeds.